She was originally abused, neglected and finally abandon on the street when someone found her and pick her up. 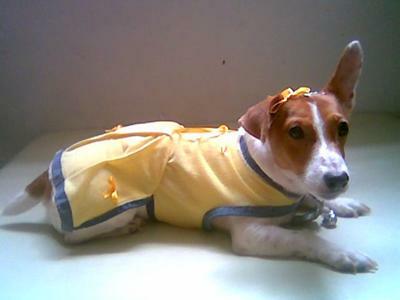 Today, she's a lucky, happy JRT who's living a safe and happy life filled with love and concern by her current owner. Her current owner, who had 2 other siblings each owned a dog set up together a online blog dedicated to all their 3 adopted dogs.